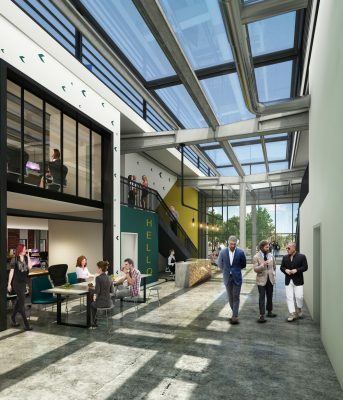 London-based architects NBBJ have secured planning for the redevelopment of an industrial unit on Cambridge’s Unity Campus into an innovative office space, known as The Works. 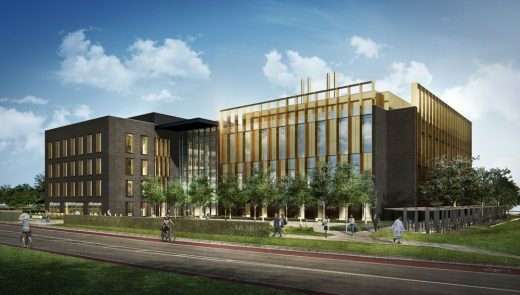 Construction work has begun on the Manchester hub for the Henry Royce National Institute, the national body promoting research and applications in advanced materials. 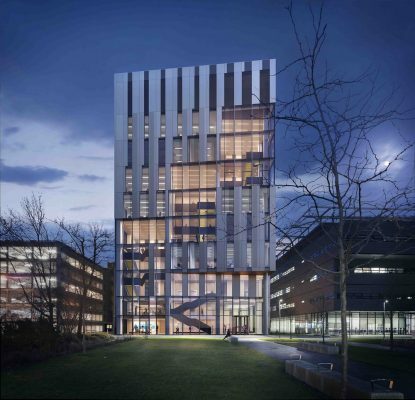 The University of Manchester has now entered into contract on the creation of the 46-metres high building which will be a prominent new landmark on the Manchester skyline. 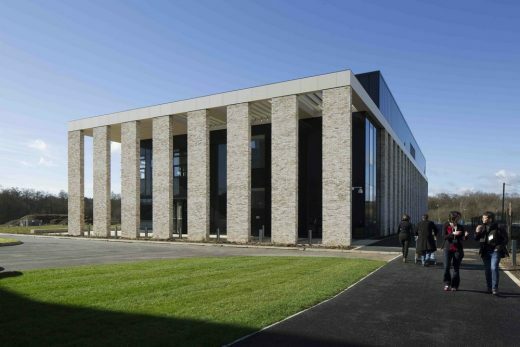 New headquarters building for Abcam plc at Cambridge Biomedical Campus (CBC). The 100,000 sq ft laboratory and office facility, is now under construction at CBC’s global healthcare village, which is being jointly developed by Liberty Property Trust and Countryside Properties. Architectural practice NBBJ has been appointed by The Pirbright Institute to design a new £48m High Containment Large Animal Facility (HCLAF), a specialist laboratory and work space for research in large farm animals and viral diseases. 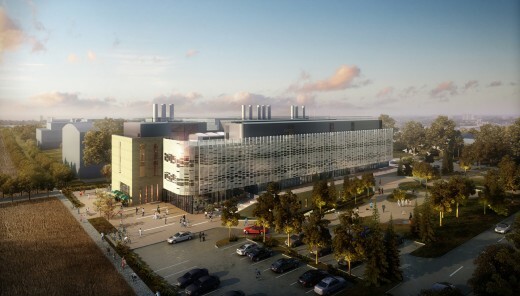 Construction has begun on the Quadram Institute, a new innovation hub for the advancement of food and health research in Norfolk, South East England. Designed by the London office of NBBJ, the 13,900 sqm centre will bring scientists, clinical researchers, and a healthcare clinic together under one roof. Google occupies some of the most famous offices in the world – think cafés everywhere you look, treadmills with laptops attached to them, pool tables and bowling alleys, green buildings, and vegetable gardens – but not one of the places in which the company’s 35,000+ employees work has been built by the company. March 28, 2018 in Architects.